Fabio Merlo enhanced again its recording tool for P3D v4/v1 and FSX : Flight Control Replay Professional Edition version 4. 2 installers included with an enhanced version for P3D, native code for P3D v4/v3, SDK compliant. After a lot of months of analysis and requirements collection from actual Users and from Beta test team, I m proud announce new major version of FlightControlReplay Professional Edition. – PMDG 737 / 777 / 747 enhanced recording and playing. User can record and replay his Flight using PMDG planes with more accuracy. -FSFX IMMERSION EFFECT COMPATIBILITY User can see FSFX Immersion effects in his airplane! Also during FlightControlReplay Play! -QUALITYWINGS 787 ULTIMATE COLLECTION ENHANCED SUPPORT User can Record and Play Flight Situation also with ! PlayAsAI(Plasy as Traffic) . User can choose and play his preferred Recorded Flight as AITraffic. You have all options available that you already have in standard playing mode, change simulation rate onthefly or use User Interface Yellow Slider for choose exactly where your AI Traffic can start his flight. You can manage more than one recorded flight as AI Traffic using more than one instance of FCR addon at the same time. PlayMode Simulation Rate. User can modify SimulationRate (during the PlayMode) using 4 buttons in main User Interface (2x,4x,Slow and Fast). This permits for example to compose a video or analyze in a better way a flight. Export recorded Flight situation for view it in Google Earth 3D and Google Maps 2D. Below there are links to video that it shows a lot of new features that FlightControlReplay v4 brings and a couple of video taken from Beta team. Lockheed Martin Prepar3d v1 – v2 – v3 – v4.X , Microsoft Flight Simulator X with Service Pack 2 or Acceleration Pack installed in the same machine of FlightControlReplay. 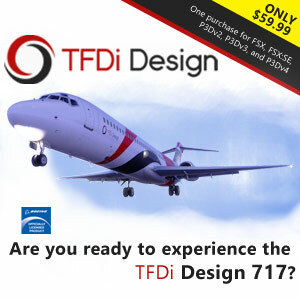 – PMDG 737 / 777 / 747 enhanced recording and playing. 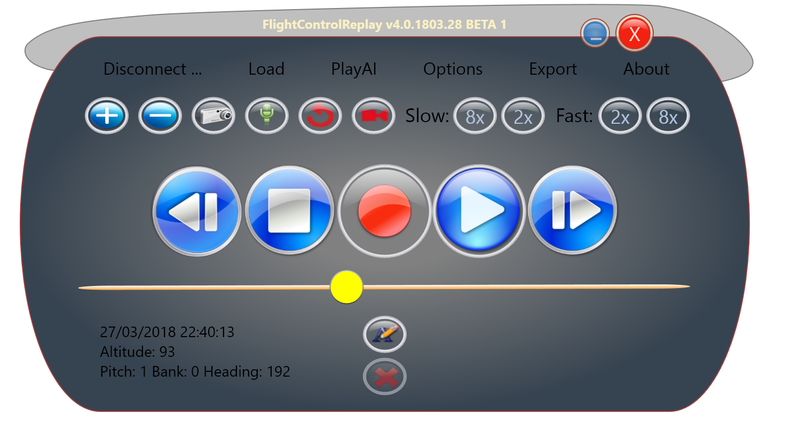 – PLAYASAI (Alpha Optimized using FlightControlReplay P3DX Enhanced Native version). – In-Game Dynamic Text during Replay.